A joint federal-provincial and university investment totalling $40.65-million was announced today at UBC’s Okanagan campus to establish a new Teaching and Learning Centre and fund various sustainability and infrastructure upgrades. Kelowna-Lake Country MP Stephen Fuhr, on behalf of the Honourable Navdeep Bains, Minister of Innovation, Science and Economic Development, and Norm Letnick, Minister of Agriculture and MLA for Kelowna-Lake Country, on behalf of Andrew Wilkinson, Minister of Advanced Education, were on campus for today’s announcement. 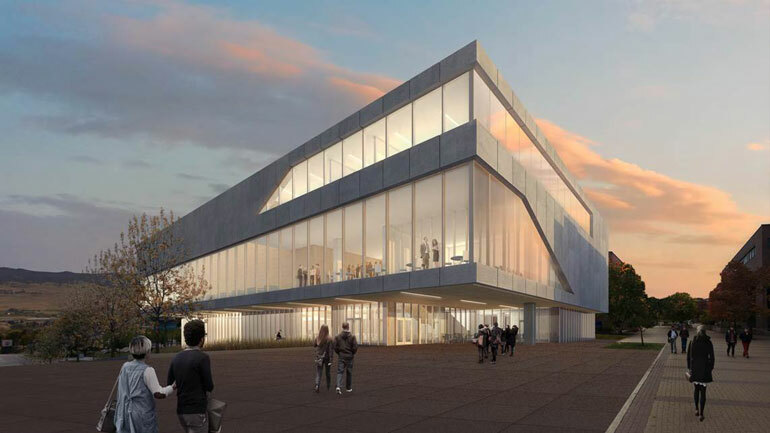 The bulk of the funding, $35 million, including a major investment by students, will go toward the Teaching and Learning Centre, an expansion and renewal of the campus library. In October 2014, students passed a referendum to partner with UBC to fund, though student fees, an expansion of the library. The funding will also support environmental sustainability projects for research infrastructure, which will focus on sustainability upgrades to 11 campus buildings and provision of services and utilities to the UBC Innovation Precinct. 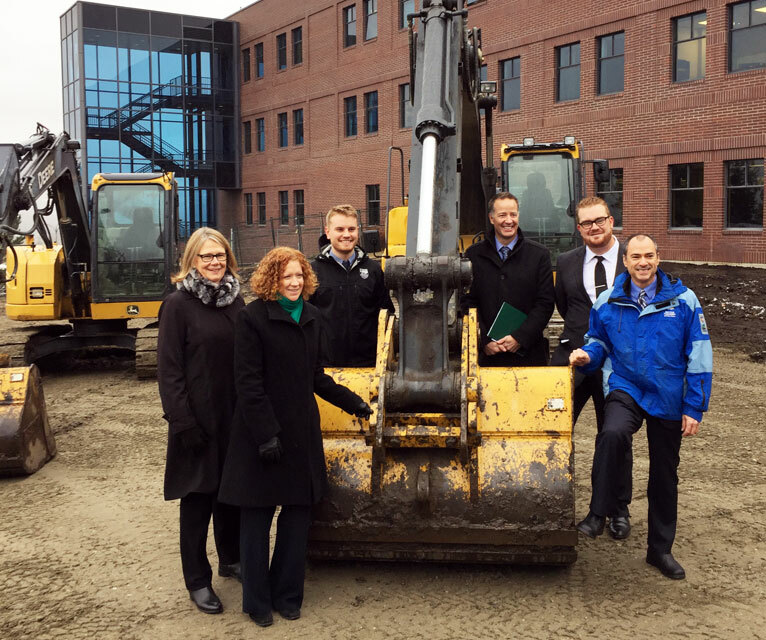 Deborah Buszard, UBC deputy vice-chancellor and principal, Okanagan campus, far left, poses on the construction site with chief librarian Heather Berringer, student union president Blake Edwards, MP Stephen Fuhr, MLA Norm Letnick, and former UBC Okanagan student union president Tom Macauley.